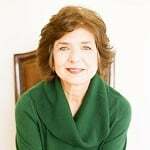 Dr. Barbara Sorrels is the Executive Director of The Institute for Childhood Education and author of the award-winning book, Reaching and Teaching Children Exposed to Trauma. She currently directs a therapeutic preschool program for children with a history of trauma. She travels nationally, training teachers, childcare providers, caseworkers, mental health professionals and foster parents on trauma informed practices. Dr. Sorrels is a certified expert witness in child development and trauma in the state of Oklahoma, advocating for the well-being of vulnerable children. She has worked in the field of early childhood education for over 40 years serving as a teacher, program director and university professor. She holds a bachelor’s degree in early childhood from the University of Maryland; a master’s in education from Southwestern Seminary and a doctorate in early childhood from Oklahoma State University.